Last year I was given the opportunity to live in Japan for 8 months on a work assignment, completing my overall two year training programme. Initially I was hesitant in being away from home for such a long time, as this was the first time for me to live abroad and to visit Asia. But this hesitation quickly turned to joy on arriving as I realised how great of a opportunity this could be. Many times I have repeated my same opinion when asked about living in Japan; it is similar enough not to be overwhelming yet still different and interesting. On a daily basis I was either grateful, impressed or surprised. In no way do I believe that the video I have created truly captures my experience there, it was simply not possible to film every activity or every small but meaningful experience. But it is instead a snapshot of some of the places and activities I was fortune to see and do. It is now a place that I look forward to visiting again, so much so that I’m writing this as I wait for my plane to take off. Destination Nagoya, Japan. 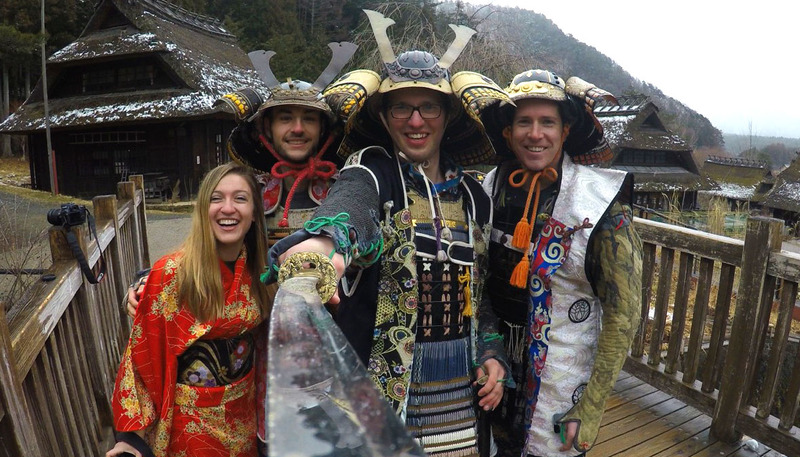 This year I have been extremely fortunate to visit Japan on an 8 month assignment as part of my graduate training programme with DENSO. For the first 3 months I was joined by colleagues from Europe and America. When first arriving in Nagoya, Japan we were surprised and delighted to see snow in the city centre. After that it took only two weeks before we decided to make the most of the perfect winter conditions and go skiing nearby. One of the closest resorts was Takasu in Gifu Prefecture. This was easily accessible from Nagoya by car and took around 2 hours each way. It was a small resort by European standards and consisted of short quick pisted runs with some opportunity to cut between though the trees (although this is frowned upon in Japan). 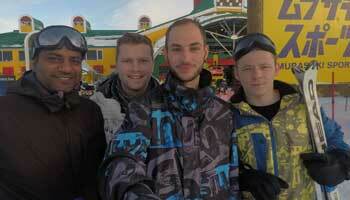 The resort and conditions were well suited to beginner to intermediate skiers and snowboarders. 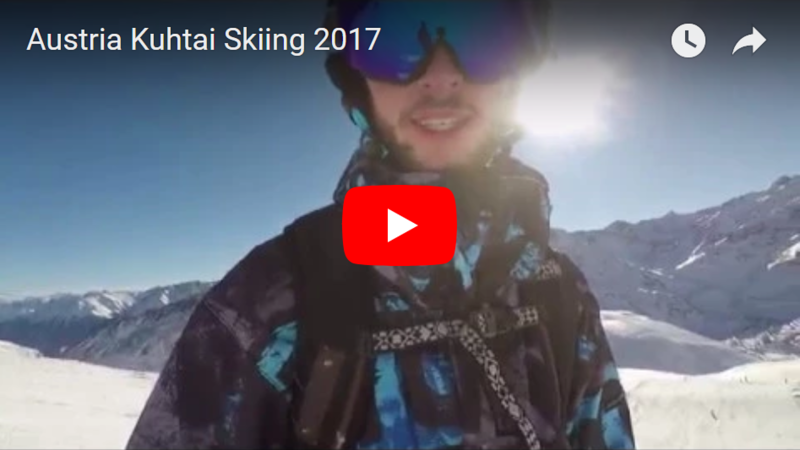 This was a single day of skiing so yet again I was only able to record a limited amount of footage (also due to GoPro battery). Throughout the day I practiced keeping a moving target in shot with varying degrees of success. To keep the video interesting I have tried to film from a variety of angles including my ski boot. The use of video for story telling is compelling. In this instance I filmed without much of an idea of what I wanted the final story and video to look. In the future I would like to make a short plan beforehand and capture more varied footage. After purchasing a GoPro for myself as a joint Christmas and Birthday present, this was the first chance to truely test it. Without much planning I headed to Freiburg, Germany to meet a friend, from where we drove to Kühtai, Austria. Overall this turned out to a fun adventerous week with two days skiing, finishing in Innsbruck. Unfortunately I did not record much footage so there wasn’t much to choose from when editing. I have already realised that a balance is required between enjoying the holiday and getting good footage. Although I am sure that this will get easier and more efficient over time. All of the footage in the edited video was recorded at 1080p and 50 FPS using a linear field of view. This gave me the option to slow footage if required but I would like to experiment with even higher frame rates in the future. During my attempts to compete the slalom course, I really liked the possibility to add overlay graphics of the course path, current speed and G-Force. Although the GoPro software can be tedious and slow to use at times. Over the next few years I will aim to create a short video for adventure holidays such as skiing and hiking. This will be a good opportunity to improve both my filming and editing skills, while having an easily sharable sounevir.